“Making a living means quick thinking”, “May the Lord take care of you”, and other such expressions adorn the fishing boats of Alexandria, creating a colourful tableau of a profession that has been handed down from generation to generation in this famous port city since antiquity. The sayings give the fishermen hope and protection during their daily journeys on the Mediterranean and nearby lakes in pursuit of their livelihood. One such fisherman sets off at the crack of dawn, ploughing his way seaward for several kilometres until he reaches his selected fishing area. With a graceful swinging movement, he casts his net and prays for an abundant catch. His sirwal, the baggy trousers typically worn by Alexandrian fishermen (though some prefer the galabiya), flutter in the wind. A cap protects his head from the glare of the rising sun. Just as the weather’s moods fluctuate in this part of the eastern Mediterranean, particularly in winter, so too do a fisherman’s prospects, depending on what the sea has in store for him that day. One day he may bring home a large catch that will keep his family content; the next he might return empty handed. Sometimes he will equip himself to stay out at sea for up to a month until his net is full. Though fishing is a profession that comes with many dangers, it does not come with health insurance, a pension or the level of social insurance needed to ensure a life of dignity. However, though fishing off Alexandria or in the inland lake of Lake Mariout is one of the city’s oldest professions, things are changing even here. With a mournful expression, Mohamed Belboushi, head of the Lake Mariout Fishermen’s Association, which has around 40,000 members, speaks of what has become of this large lake of 50 km2 on the outskirts of Alexandria. Whereas once it produced 20 to 30 tonnes of fish a day, enough to feed the whole area, today it now only produces five. Belboushi has appealed to government officials, MPs, and the General Authority for Fisheries Development to clear away the reeds and silt from the lake to make it flourish once again, as well as to reinforce the drainage channels that separate wastewater from the lake. Most of the fishermen using the lake live in nearby areas, such as Al-Qabari, Karmouz, Moharram Bek and Al-Mitras. They lack social and health insurance, and their pensions only start at 65 “even though a fisherman’s health can begin to decline at 50,” Belboushi said. His association wants the pension age lowered to 60 and the amount of the pensions raised to LE700. The General Authority for Fisheries Development “stopped issuing licences about 10 years ago, prior to which it cost LE50 to renew one annually. Renewing an old licence today can cost as much as LE200,” Belboushi said. Only about 5,000 members of the Fishermen’s Association have licences, and the authority “must restart issuing them so that fishermen can earn a decent living”, he added. “A fish that once sold at LE8 now costs LE25,” Belboushi said, commenting on the fish market in Alexandria. He attributes the rise in prices to the lack of maintenance of the area’s natural lakes, including Lake Mariout, and the rising cost of the feed used on fish farms. 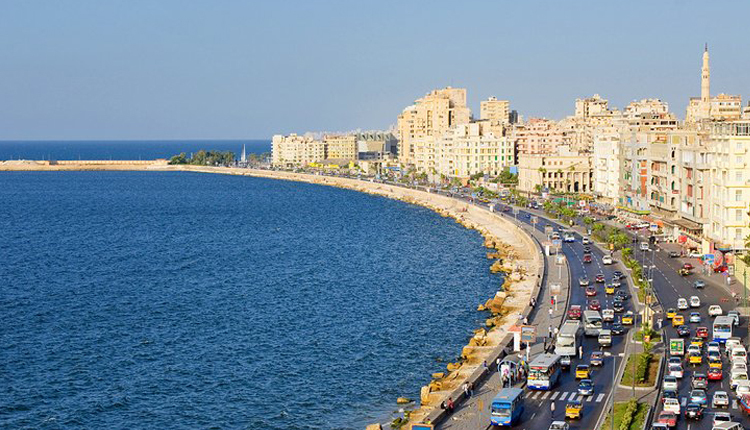 However, even today Lake Mariout “covers 20 to 30 per cent of Alexandria’s fish needs,” Belboushi added. There are 118 fish farms covering about 5,000 acres in the Mariout Valley outside Alexandria, according to Ahmed Helmi, director of the Western Zone of the General Authority for Fisheries Development in Alexandria. He also agreed with Belboushi that a main cause for the rise in fish prices has been the rise in the costs of feed and other requirements that have to be imported from abroad. The cost of fish feed has soared from LE8 to LE18 a kg since the floating of the Egyptian pound, and it takes 2kg of feed at least to produce a kg of fish. The Berket Ghalioun project is located in the Matbous district of the Kafr Al-Sheikh governorate. Its first phase, covering 4,100 acres at a cost of LE700 million, was inaugurated in November 2017. The second 9,000-acre phase is currently under construction. It is a collaborative project being carried out by the Chinese Evergreen Company and the General Authority for Fisheries Development. According to a study by the University of Natural Resources and Life Sciences, “Fish Production in Egypt: Current Status and Future Perspectives”, from 2016, the three main resources of fish in Egypt include marine (the Red and Mediterranean seas), inland (various lakes and the River Nile), and aquaculture, making it clear that the latter can be a main source of wealth and help increase national income. Egypt, like many other parts of the world, is seeking to focus on fish as a renewable food resource that can contribute to ensuring safe food for the coming generations. Because of the decline in fish stocks from marine and inland waters in recent years, the need for efficient fisheries management has become more pressing, along with the development of natural fish resources through better conservation and management. Earlier the picture was different, with lakes providing 50 per cent of fish production in the 1980s but decreasing to only 12 per cent in 2014. Marine fisheries contributed up to 22 per cent of the total in the 1980s, but this had decreased to only eight per cent in 2014. Nile fisheries dramatically decreased to provide only four per cent of fish production in Egypt in 2014. The study also refers to current challenges facing marine fisheries such as over-exploitation due to high-pressure fishing, with studies arguing that this should be reduced by 35 to 50 per cent of its current value. Illegally sized nets and destructive fishing methods such as the illegal harvesting of fish fry are also leading to over-exploitation. Increasing tourism and industrial expansion have caused damage to coastal ecosystems and pollution. There has been a lack of information on fisheries in ecological, social and economic policies, and inland fisheries have suffered from drought, leading to a decrease in total area. There have been problems of pollution and the spread of aquatic plants in lakes, as well as the limited awareness of fishermen about environmental issues and the importance of fisheries regulation. The study gives recommendations for marine fisheries such as the greater regulation of mesh sizes and the prohibition of destructive ones and the definition of closed areas in the light of developing a geographical information system for fishing grounds. Total allowable catches should be set, the study says, and there should be a revision of fisheries laws and improvements to the system for collecting and compiling statistics. For inland fisheries the recommendations are similar, including the regulation of mesh sizes, the control of the gear types used and prohibition of destructive ones, and the development of suitable fishing gear for shallow lakes. There is a need to monitor salinities at various seasons and localities, and to clear openings for the exchange of water masses between lakes and the open sea. Fisheries laws should again be revised, and there is a need for improving the system for collecting and compiling fisheries statistics and controlling water inflow from agricultural drainage canals into lakes to control pollution. Municipal wastewater could also be used at fish farms after treatment and technology updated.